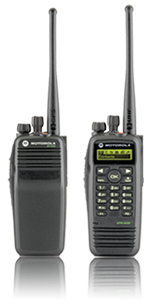 Texas Communications has built a state-or-the-art MOTOTRBO Connect Plus digital two-way radio system in Central Texas. Please click here to view our coverage maps. 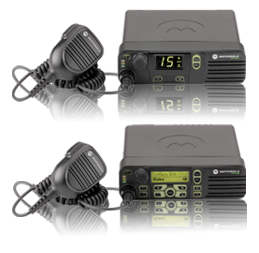 Keep your work crews in touch as they travel with the original mobile performers - the XPR 4000 Series. These radios deliver increased capacity, integrated data applications including integrated GPS, text messaging, and access to the industry's largest application developer program, plus the exceptional voice quality you require on the go. Move your business beyond voice with the feature-rich XPR 5000 series. These powerhouse mobiles deliver unrivaled voice and data communication with integrated Bluetooth audio and data, integrated GPS and text messaging, full color displays with Day/Night mode to make reading work order tickets and text messages easier, and best-in-class audio with Intelligent Audio that automatically adjusts volume to overcome background noise. 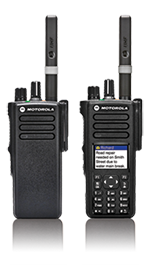 Transform your enterprise with the XPR 6000 Series radios, the original high-powered portables. They offer increased capacity, integrated data applications including GPS, text messaging and access to the industry's largest application developer program - plus exceptional voice quality and extended battery life. Take your enterprise further with the XPR 7000 Series. 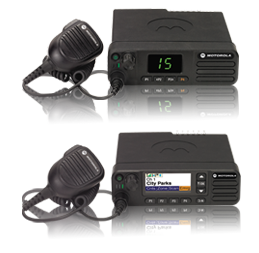 These fully featured portables deliver unrivaled voice and data communication with integrated Bluetooth audio and data, integrated GPS and text messaging, full color displays with day/night mode to make reading work order tickets and text messages easier. The radio provides best-in-class audio with Intelligent Audio that automatically adjusts volume to overcome background noise. neoConneX GPS is a robust solution to track the location and movements of MOTOTRBO radios. It allows for you to optimize efficiency in workflow, improve communication to mobile workers, and ensure the safety of valuable assets with GPS location data. The app is ideal for environments with dispatch centers requiring a desktop tool to support their ongoing activities. neoConneX GPS also features a web suite client that allows for remote tracking and monitoring with rich playback functionality available from any mobile device.